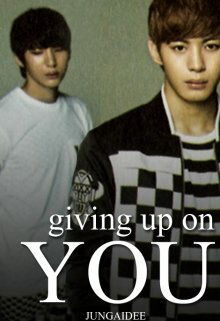 Description of the story "Giving up on you"
You and your chilhood friend Hongbin had always been together but that was about to change when Leo joined the group. How will his presence change your future and how is he related to Hongbin's broken family. I read half of it, it needs some improvement. I'd like to know your full opinion. What do you think needs improvement? It's too Awesome. It seems so real that i felt it's all is happening right in front of me. Thank you for such amazing comment and of course, for reading this story until the end. Comments like this mean a lot to me because when Giving up on you is the first story I wrote in english so it was a challenge and I was scared of not conveying the character's emotions to the reader so I have to thank you very much for leaving a comment like this.❤ please read my other stories and fanfics too!! "You and your chilhood friend Hongbin", why is you here? Because "You" are the main character. It's like a type of fanfic that is popular among the kpop fandom.